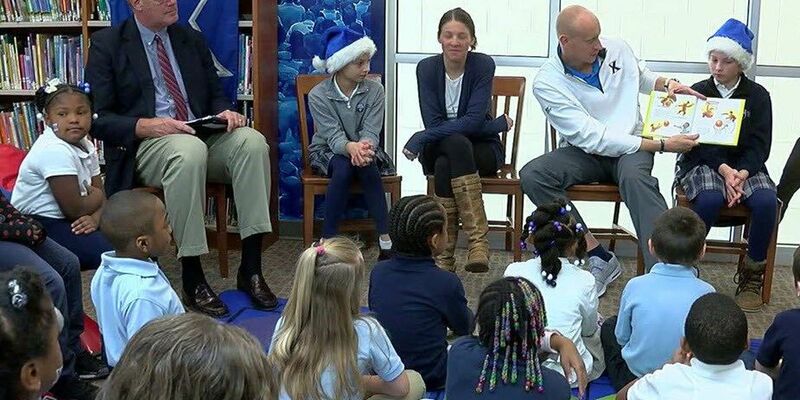 FOX19 - North College Hill Elementary students and faculty welcomed Chris Mack, Xavier University Men's Basketball Head Coach, his wife and children to open a special reading oasis inside the school library Tuesday. Thanks to the Mack Family Foundation, Coach Mack's Corner is a comfortable place to read with new shelves stocked with more than 600 books. "To know we are helping the same kids I grew up in the same neighborhood as… it's pretty cool," Mack said. Mack and his wife officially dedicated the library by reading a story to the kids. Watch it in the video above.